Susan J. Reinhardt's journey to publication began as a non-fiction writer. She's been published in The RevWriter Resource, Devotions Magazine, A Secret Place, Vista, Live, and numerous other compilations and periodicals. Her appreciation for using fiction techniques inspired her to use fiction as a vehicle for truth. Her novels, "The Moses Conspiracy," "The Scent of Fear," and "The Christmas Wish" will be re-released in the near future. A widow, stepmom, and active church member, Susan enjoys reading, couponing, gardening, and searching for small treasures in antique shops. 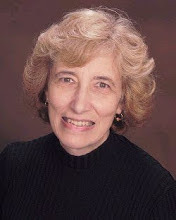 Susan is represented by Joyce Hart, of Hartline Literary Agency.